In the first part of this article series entitled “How the Courts Divide Property in Divorce Proceedings“, we discussed how the Courts divide property and what steps each party needed to bear in mind in order to ensure that the final settlement was well and truly fair by each party. Divorce itself can of course be an emotionally exacting process for the parties concerned. However after the event itself, the tax implications of a divorce could create even more emotional trauma. Hence, in part 2 of this series of articles I will focus on the tax implications of a divorce settlement. Many people who may seek financial and tax planning services, may be advised to use a Family Trust as a potentially tax-effective vehicle for holding income gaining property such as land and shares. As the property is not held in the name of individuals or the family but instead held in the name of the Trust, one may wonder what happens to Family Trusts in the event of a divorce. As stated in Part 1 of my Article, assets held in trust for the family would essentially be considered by the Family Court as forming part of the family assets and then it will be divided in the ratio pre agreed or as determined by Courts. Hence, the ground rule is, Family Trusts do not protect one spouses’ assets at divorce, but it attaches to both and gets divided. However, it is worth mentioning an interesting variance; if one of the spouses’ only gains income from a Trust and where he/she is only a beneficiary, the Trust property itself may not be divided as it may not be a Family Trust. To clarify this with an example, let us assume a man creates a Trust by transferring his assets and the Trust provides income to his two daughters. Let’s assume that one of the daughters marries and continues to receive Trust income from her fathers’ Trust. In the event the daughter’s marriage breaks down the Trust property in the father’s Trust will not be divided as family assets between the daughter and her husband. The Trust property will remain as it is and not tag along in the division. However, the fact that she continuously received income from the Trust could act as ‘contribution’ for the purpose of determining the contribution made by the parties as discussed in Part 1of this article. One may even need to consider the aftermath of the divorce taking in to consideration the tax on children. If children receive income directly they are likely to be taxed at the high rate of 66%. To avoid this, a trust structure could be used to great effect. By creating a Trust they could vest the assets to the children with a trustee, and the same could then be distributed once they reach a certain age defined in the Trust Deed. This protects the children from using assets wastefully makes them available when they need them most. However, any income earned from the Trust property can be made available to children at the Adult Tax rates which goes to a maximum of 46.5%, as opposed to 66%. These type of Trust which only endow profits but does not give the right to assets are famously known as the Capital Vested Trusts. How do the divorce settlement itself get taxed? Going through an emotional trauma, thinking of legal costs and the last thing anyone needs is the Australian Taxation Office to come and tap on your door. Under the general laws of taxation in the event an asset is sold/transferred, the gain made on it is taxed. Since, a division of property in divorce would naturally result in substantial assets changing hands between partners, it is essential to examine the taxation aspects relating to such instances. There are generally two types of roll-overs available. One applies to the transfer of a CGT asset that is owned by an individual to their spouse. Another applies to the transfer of a CGT asset from a company or trustee of a trust to a spouse. However, note that no roll-over is available if the asset is transferred from an individual to an entity. Therefore, if the recipient spouse wishes to further transfer the asset from their own name to say, a discretionary trust, CGT and stamp duty may be triggered, which could effectively undo some or all of the benefits of the roll-over. 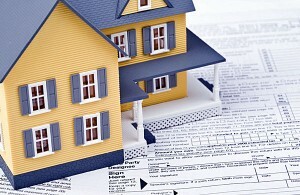 When dividing the property it is also vital to plan the taxation before deciding on what each party claims. For example the matrimonial home identified as the ‘main residence’ of the parties that would anyway have an exemption from CGT. Similarly, if the asset was purchased prior to 20th September 1985, the asset would anyway be exempted from CGT. Hence, in such instances the roll-over act is not activated. Further, if a party wants to claim Capital Losses, that too may determine what property is beneficial.